Lightweight, practical and unisex. 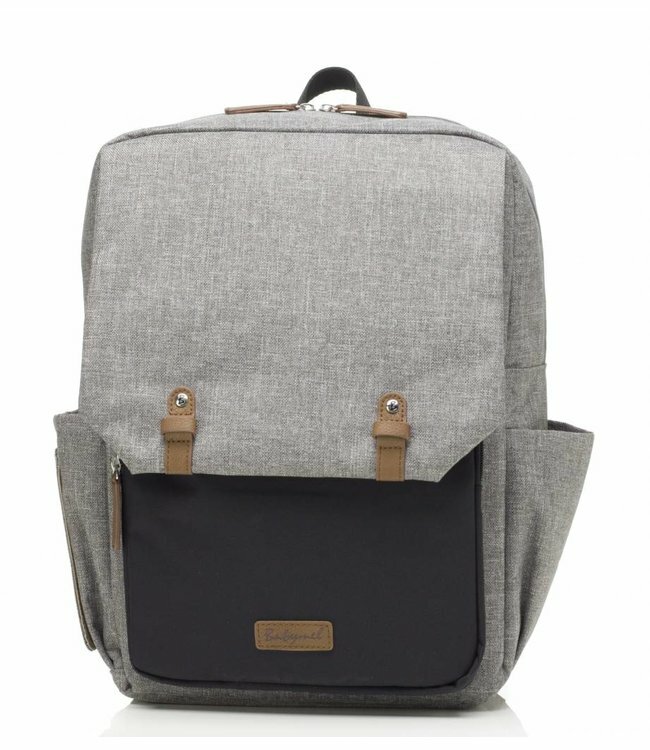 That is the Georde Backpack from Babymel. The bag is made of water-repellent material and offers sufficient space for all requirements. The main compartment closes by means of a flap and has handy insert compartments. There is also a padded laptop compartment on the inside. The backpack has pockets on the front and a dip-lens for changing wipes. The handles, the shoulder strap provide maximum ease of use. Perfect for an afternoon or a day out with a baby or child. ♥ Baby pixel diaper bag Robyn PU Dusty Pink ♥ Free shipp..
♥ Babymel diaper bag / backpack Luna Black Quilt ♥ Free ..
♥ Baby pixel diaper bag Robyn PU Tan ♥ Free shipping ♥..
♥ Baby pixel diaper bag Cara Ultra Lite Neoprene Black ♥..
♥ Baby Blue diaper bag George Gray / Black ♥ Free shippi..
♥ Babymel diaper bag Anya Dusty Pink ♥ Fast delivery ♥..
♥ Baby pixel diaper bag Robyn Origami Hearts Gray ♥ Free..
♥ Baby pixel diaper bag Cara Ultra Black Quilt ♥ Fast de..